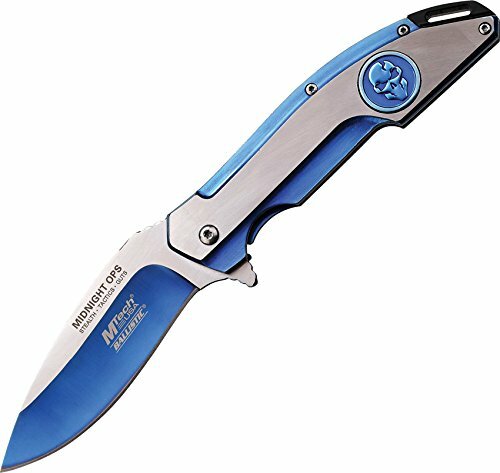 Master Cutlery M-Tech USA Spring Assisted Knife with Two-Tone 3.75" Blade, 5"
Product prices and availability are accurate as of 2019-04-17 18:54:46 EDT and are subject to change. Any price and availability information displayed on http://www.amazon.com/ at the time of purchase will apply to the purchase of this product. 5" closed framelock. 3 5/8" satin Blue titanium coated two tone 440 stainless drop point blade with extended tang. 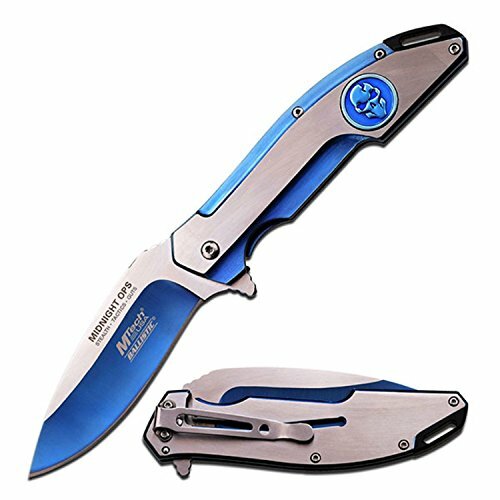 Satin Blue titanium coated laser two tone stainless handles with lanyard Slot and skull medallion. Stainless pocket clip.